Along with Facebook and YouTube, Reddit forms part of the web’s holy triumvirate of time-wasters 15 Mobile Apps Guaranteed to Waste Your Precious Time 15 Mobile Apps Guaranteed to Waste Your Precious Time Some apps will add value to your life, making you more productive or helping you improve in some meaningful way. Other apps, well, they'll have the opposite effect. Read More . You fire up the app with the intention of just checking your favorite sports team’s subreddit, but before you know it, you’ve spent three hours watching countless videos in /r/idiotsfightingthings. Surely there’s a better, less time-consuming way to get your daily Reddit fix. Thanks to a new Alexa skill, there is. The new skill is called Daily Cup of Tea, which you can download it for free from Amazon. The nifty app will make Alexa read the top posts on Reddit How to Consistently Hit the Top Page of Reddit How to Consistently Hit the Top Page of Reddit I've decided to dig deep into what Charles Chu had discovered, looking for insight into what it takes to craft a popular Reddit post that readers can't help but engage with. Read More for you every morning. It comes in two forms: as a “Flash Briefing” or as a regular skill. 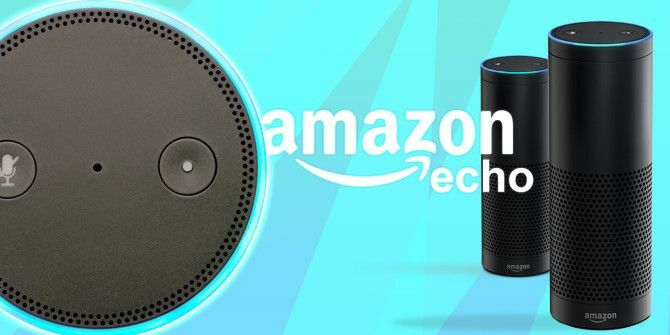 For those who don’t know, a Flash Briefing is a customizable news update than Alexa reads out loud. You can set up Flash Briefings by heading to logging into your Alexa account and going to Settings > Flash Briefing > Get more Flash Briefing content. How you interact with Daily Cup of Tea depends on which version you have installed. If you installed the standalone skill, say “Alexa, open Daily Cup of Tea,” “Alexa ask Daily Cup of Tea to give me my tea,” or “Alexa, ask Daily Cup of Tea what is happening.” Alexa will read out the top posts on Reddit at that moment. Daily Cup of Tea has a hard-coded list of subreddits. You cannot add your own preferences or link your Reddit account. The developer has promised he is working on introducing these features and they will become available in a future release. Is this skill going to keep you satisfied, or will you keep hitting the Reddit homepage to feed your addiction? Let us know in the comments below. Explore more about: Alexa, Amazon Echo, Reddit.